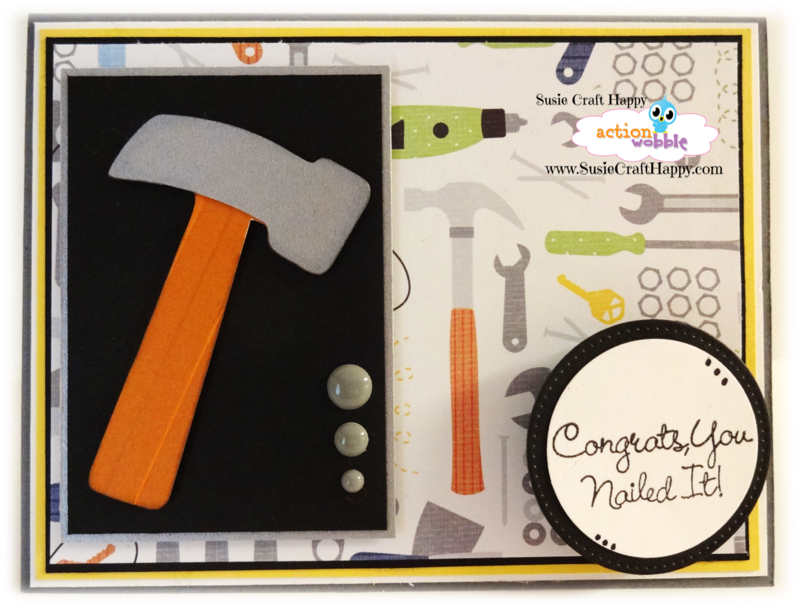 Action Wobbles: Congrats, You Nailed It! 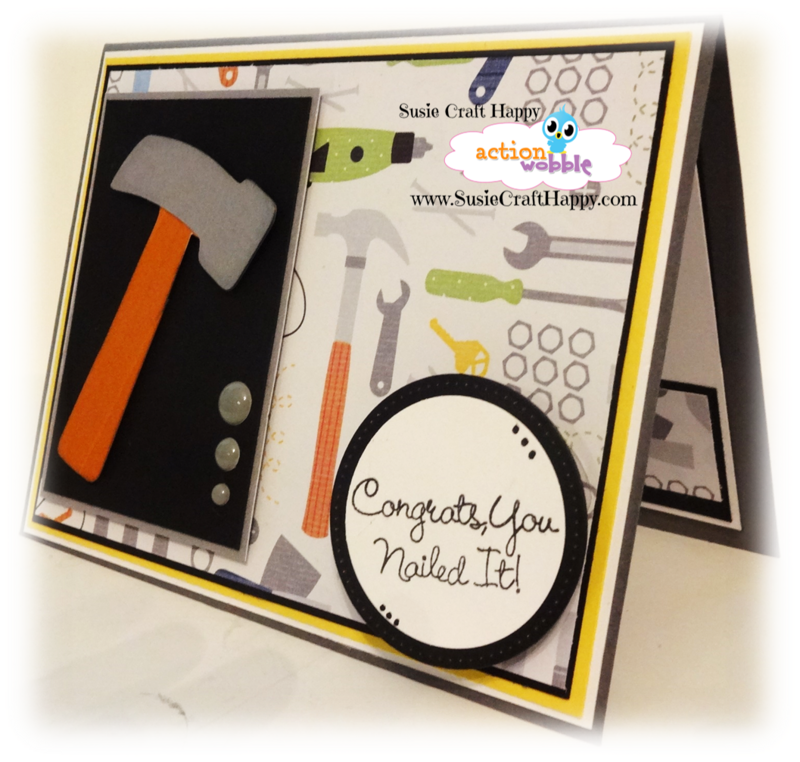 Susie Craft Happy here with a masculine congrats card. Using masculine papers and a very basic layout, I created a card that is sure to let any guy know how happy you are for him. 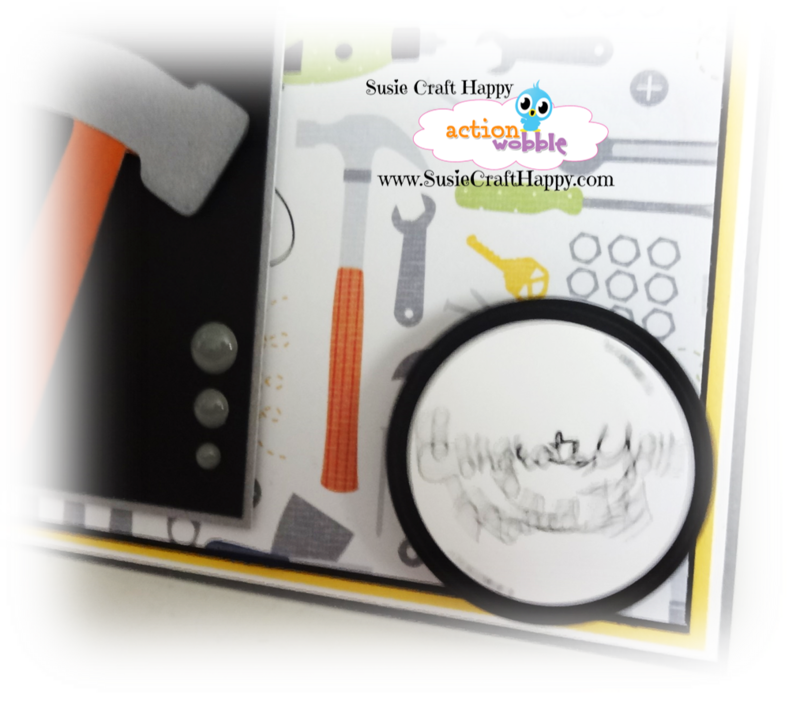 I used pattern paper by DCWV All Boy Stack and using the Cricut, Boys Will Be Boys cartridge for the hammer image. I love this tool patterned paper, it plays well with the sentiment. Can you guess where the wobble is? That's right! It's on the sentiment!! How fun is that!! 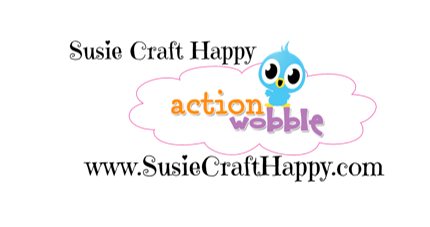 Be sure to get your Action Wobbles to make your cards and projects interactive! 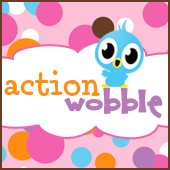 Action Wobbles are always available at the Scrapbooking Queen's Royal Castle Shoppe!! Thanks for stopping by today and have a wonderful Memorial Day!! OK so after being inspired by so many of your cards, wobbles are in my next craft budget.